Exquisite 5 bedroomed home, with direct sea views. This exquisite 5 bedroomed, 4 bathroomed home is a feast on the eye. Not only does it have 2 stunning kitchens, with quality finishes for the master chef, but the one kitchen has unsurpassed views out to sea where, during winter months you will be able to watch the whales frolicking in the bay. If cooking doesn't appeal to you, then sipping a glass of wine, in front of the fireplace, while watching the whales, will definitely de-stress you. The 4 bathrooms, 3 of which are en-suite, are all new with high quality finishings, and are all extremely tastefully done. 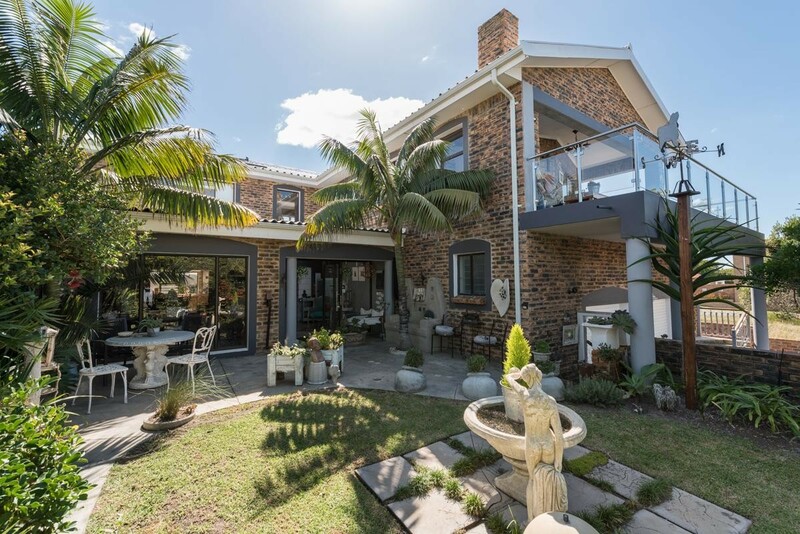 This home is for the connoisseur who wishes to sit in tranquility underneath the palm trees and smell the ocean in the balmy Kleinmond evenings. A swimming pool is in your very own private courtyard for your morning exercises. This home not only attracts the morning but the afternoon sun and for those potential home owners, who wish to secure an additional income, while watching the whales, and sipping their wine under the palm trees, this home offers the possibility of generating an income by renting out the top floor where there is a stunning kitchen, with 3 bedrooms, one of which is en-suite with the other 2 bedrooms, sharing a brand new, immaculate bathroom. This area has a separate entrance and can be completely cordoned off from the rest of the house, by simply locking a door. Don't delay and miss out on a wonderful opportunity to own a tasteful home in the sea avenues which is ready for you to move right in. Kleinmond is a small coastal town in the Overberg region of the Western Cape province, South Africa. It is situated inside a UNESCO-declared biosphere about 90 km east of Cape Town between Betty's Bay and Hermanus. The town's name, meaning "small mouth" in Afrikaans, refers to its location at the mouth of the Bot River lagoon.